For BraidedSOUND’s Helsinki debut we have invited some amazing local musicians (and two foreign) to join the ensemble. While this project draws on a deep familiarity with graphically notated score history, from that of Cage and Cardew and Stockhausen among many others, BraidedSOUND distances itself from the aesthetics and behaviors of “concert music” almost entirely—we are rather seeking to explore and define a contemporary use of the graphic score as a map, the compass and legend of which must be figured out with every single new performance, by every participating artist, together as a unit, in every new space and every different city, and using the hybrid sonic avenues of electronic and acoustic elements as its toolkit. LIVE Concert I: Friday 15.3.2019 at 18:00. LIVE Concert II: Saturday 16.3.2019 at 18:00. ÄÄNIAALTO, the annual festival of audiovisual oddity, exhibits multichannel audio, VR, interactive and bioart sonic installations from Wednesday 13.3 to Saturday 16.3 at Akusmata. The official opening of the exhibition is on Wednesday 13.3 at 17:00. We are collaborating with Akusmata to display the works of LenaoooYuki, Olga Palomäki, Otso Sorvettula and Lauri Linna. 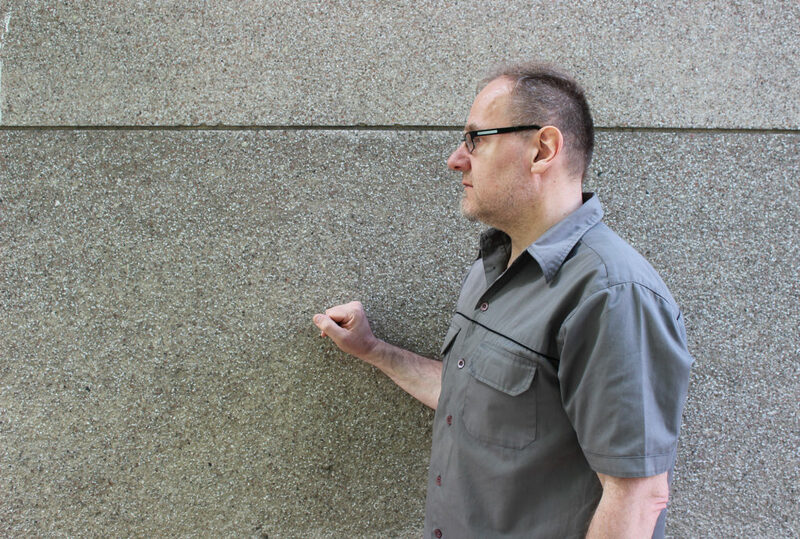 The programme also includes two live performance, Stephen Christopher Stamper on Friday 15.3 and Autotel with his Calculeitors on Saturday 16.3. The room is divided into areas, which address different momentums of senses (visual, acoustic, durational, pictorial, spatial, associative, …) in which thoughts about sounds could be crystallized within one’s mind. Different brain areas might be observed in a proprioceptive way. A sense for the notion of a virtual representation of a real object or the perceptive split when encountering a media depicted person in real life might be considered a relatively new perceptive momentum. Thinking of how to relate to sound / sonic phenomena throughout the ever-changing ecology of perception in analog / digital constellations (after Bergson) is possible. The VR part is through thin acoustic wires fusing a virtual space and the mostly analog experience corners of the exhibition space to symbolize a mind which might be in a future a fusion of analog and digital experiences and therefore bodily partly detached memories. The virtual reality part is a collaboration with artist / musician Carlos Ortiz (Colombia), graduate from University of Arts, Berlin. Lena Andrea Haberberger, former exchange student at Sound in New Media (Aalto University Helsinki, Department of Arts, Design & Architecture) and graduate in Sound Studies (University of Arts, Berlin), is at the moment engaging philosophically and artistically with synaesthetic or inter-modal phenomena that might depict experiences or phenomena in a figurative and illustrative way. Water Connection (2019), is a 4-channel sound installation. The work is based on field recordings that were made in the Lofoten Islands, Norway last year. The recordings consist both of man-made and natural sounds, mostly those that are specific to the place. The recorded sounds were deconstructed and modified in the pursuit of creating an otherworldly, dreamlike and hypnotic soundscape out of them. 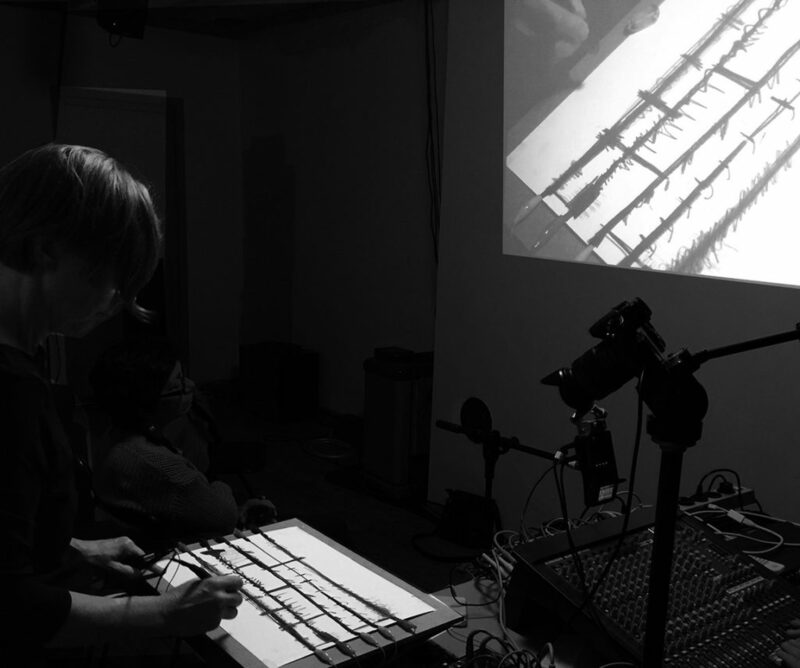 Water Connection combines elements of sound art and experimental music. Minimalist drones, beats and harmonies, the musical elements of this three-dimensional composition, transform into a sonic representation of an imaginary place and vice versa. Olga Palomäki (*1980) is a visual and sound artist based in Helsinki, Finland. S/he is fascinated by the lost, forgotten and the unseen. 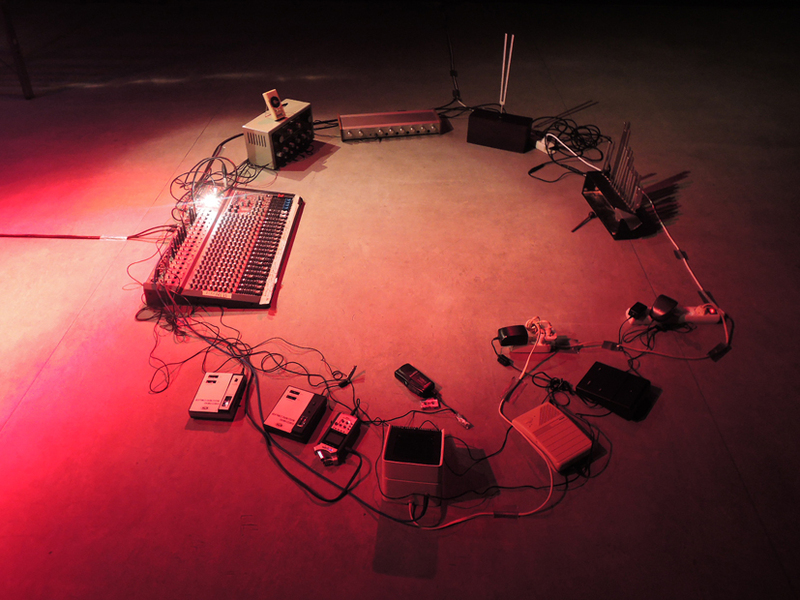 Palomäki makes experimental sounds based on field recordings. 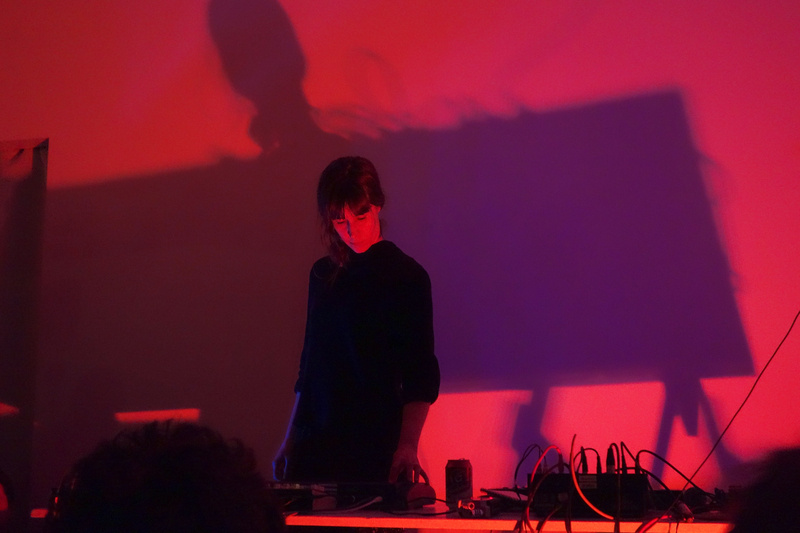 Olga’s sound works are influenced by dark ambient- and drone music. S/he captures man-made sounds and background noise, using them as instruments by modifying the recordings and shaping them into a new form. 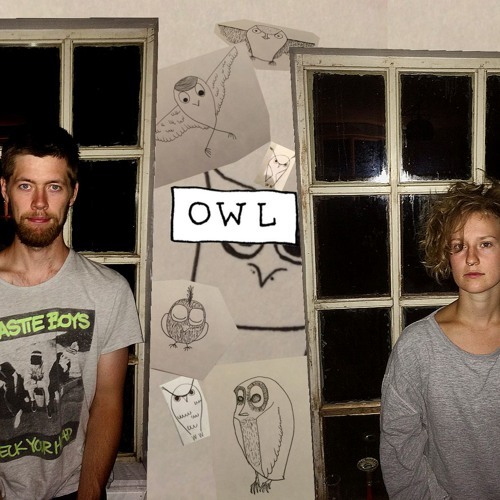 Palomäki makes videos that illustrate the sounds: music videos and visuals for performing live. 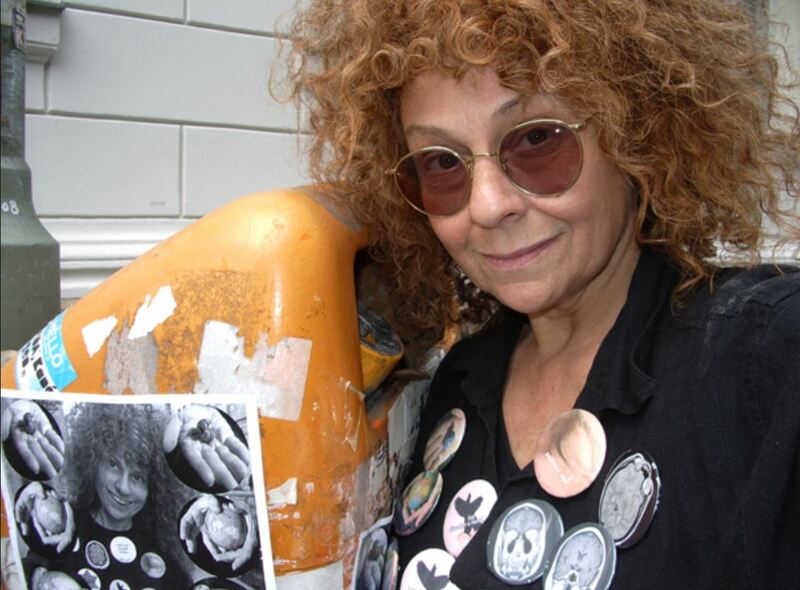 Palomäki’s works have been on display in several solo and joint exhibitions, radio shows and sound art/experimental music events, film and video festivals and screenings in Finland and other European countries. Palomäki has perfomed live at different venues in Finland and abroad. S/he graduated from Tampere University of Applied Sciences, Fine Arts Programme in 2007. Sound has an inevitable relationship with time. Even when recorded and played back, sound is sensed at the present moment, one tiny chunk at a time. Sound exists only when it already ceases to exist. Light seems less tied to the dimension of time. Light can be recorded for years and the recording can be sensed at a glance. The starting point of the work is the relationship between sound, light and time. Lamp cycles through different stages and light creates a sound that exists only at the moment of hearing. Observer inevitably affects the events by being present. The work consists of a lamp and an array of light sensors. 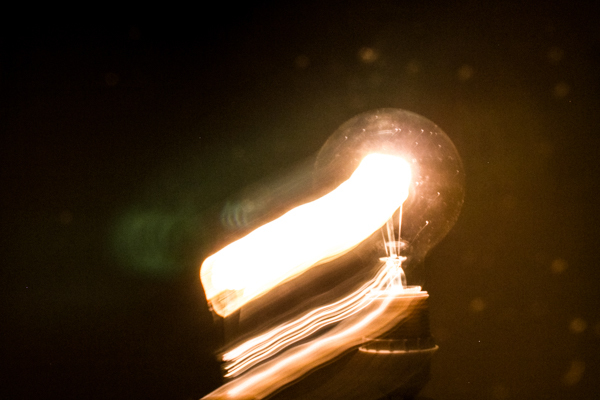 Sensors transform the emitted light into electrical voltage. The voltage then controls an analog synthesizer that creates the soundscape. 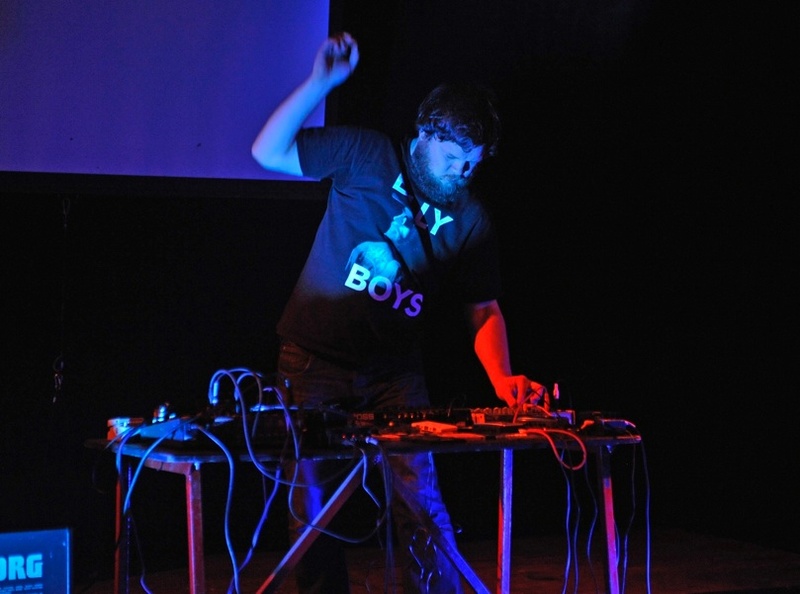 Otso Sorvettula is a media artist, maker and designer from Helsinki working with experimental media, sounds, visuals, DIY instruments and software. He is interested in mistakes, interference, aberrations and surprising harmonies. His works range from interactive installations to educational workshops exploring creative and expressive possibilities of both new and obsolete technologies. 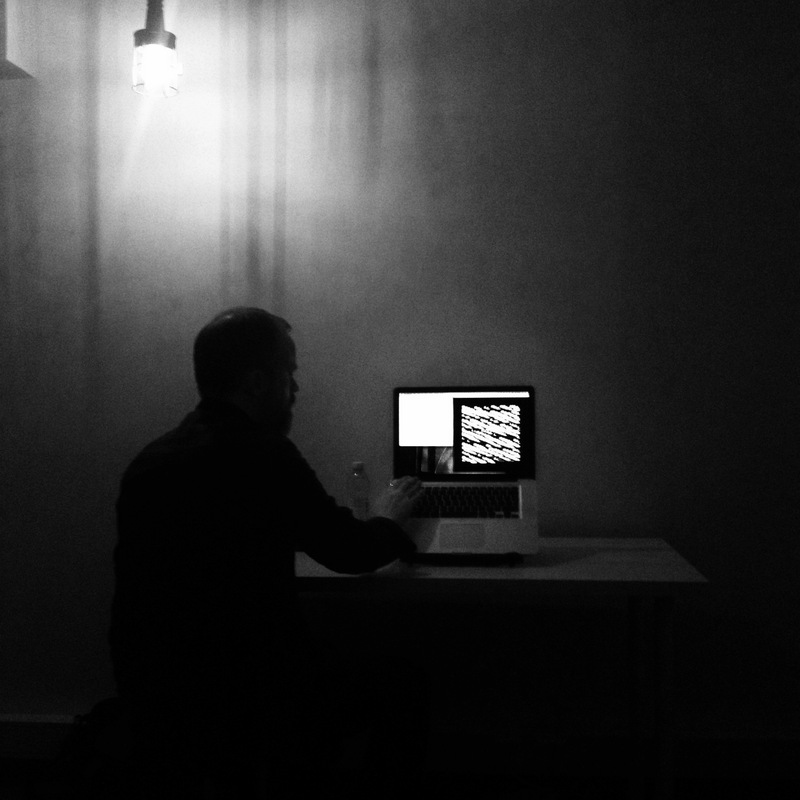 Currently Otso is finishing his Master of Arts degree at Media Lab in Aalto School of Arts, Design and Architecture. Plants move very slow and usually we humans don’t see it happen. The installation “Plants Pushing Buttons” offers plants buttons to push. As the plant moves on top of the button a sound is played. It’s unclear can the plant understand the connection between its movement and the change in the soundscape. But what is clear is that when a plant is introduced to a button it likes to press on it. The plants also get bored and don’t push the button if the sound file of the button isn’t changed once in awhile. Recent research has found that plants react to the sounds of running water and caterpillars munching on leaves. 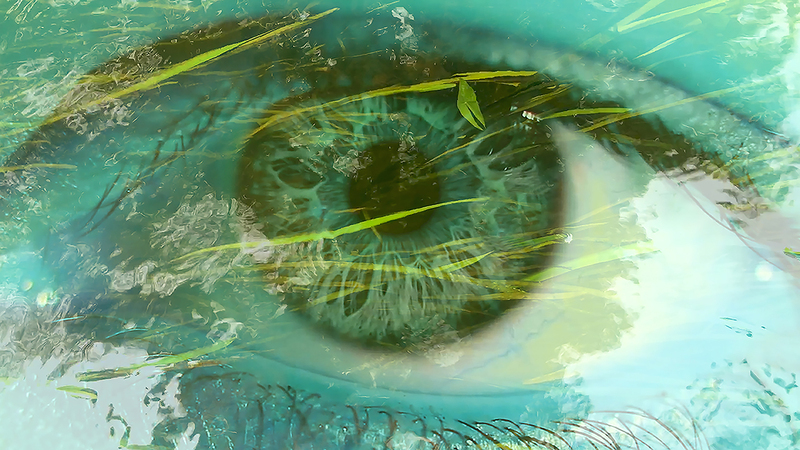 Another research found that plants also emit some kind of vibration that travels in air. Maybe insects and other plants hear it? Maybe it affects us too? Special thanks to Marloes van Son for electronics coaching. Lauri Linna is a Helsinki based artist. He works with plants, gardening, moving image, sound and electronics. Since 2014 he has been studying carrot – human relationship in his project PORK KANA CAR ROT. Other fields of interest are plant behavior and intelligence, plant – machine relationship and plant related technology. 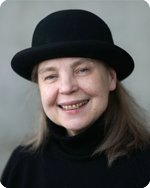 Linna is a recent Master of Arts from Aalto University’s Visual Culture and Contemporary Art (ViCCA) program. For this intimate performance, Stephen will be using the open-source audio and video programming environment Pure Data to generate and process acoustic feedback from an unamplified MacBook Pro. Stephen Christopher Stamper is a British-born artist and immigrant living and working in Helsinki. Through sound work, installation and performance, Stephen has explored themes of decay, memory and obsolescence, the body and its relationship to illness, the manipulation and execution of code by machine, and extreme metal music culture. 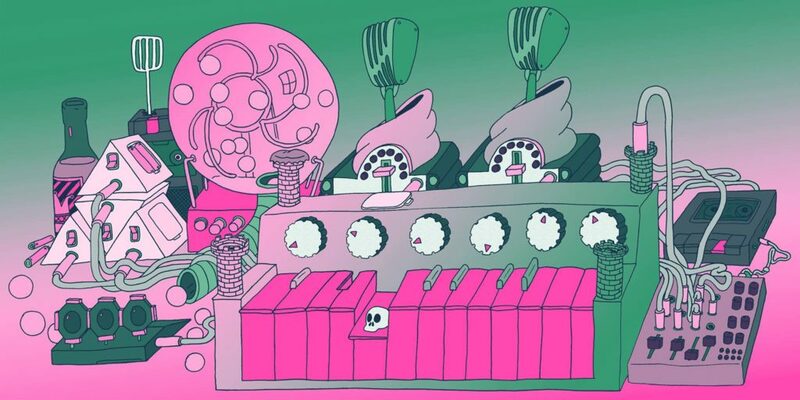 Autotel invites anyone interested in generative and electronic danceable music to jam with him and his Calculeitors. You can jam with Autotel’s Calculeitors or bring your own synth, just don’t forget your cables! This jam will be the closing ceremony of ÄÄNIAALTO sound art exhibition. Autotel is an art engineer & electronic musician. On his current project, Autotel is exploring how music can be composed in the spot, according to the flow of the party. For this, he has created a unique live setup that he virtuously performs in the stage, capturing people’s attention. Autotel’s style is recognized as strongly rhythmic and organic. Depending on the audience, music may go along the lines of house music or dive into techno. Supported by FFUK and Norwegian Jazzforum. On Tuesday, February 23, 2016, an electric bass was stolen from the music rehearsal room of Helsinki City Media Library. The thief traveled to Nurmijärvi where he started to destroy places with the bass. At first the police got a call that a man is crushing window of a shop with bass guitar. After the windows were destroyed, he detached a post box and threw it inside the store. When the police arrived, he was gone. Next police got a call that a man is crushing a car with a bass guitar. He was still hitting the car with the electric bass when police arrived. 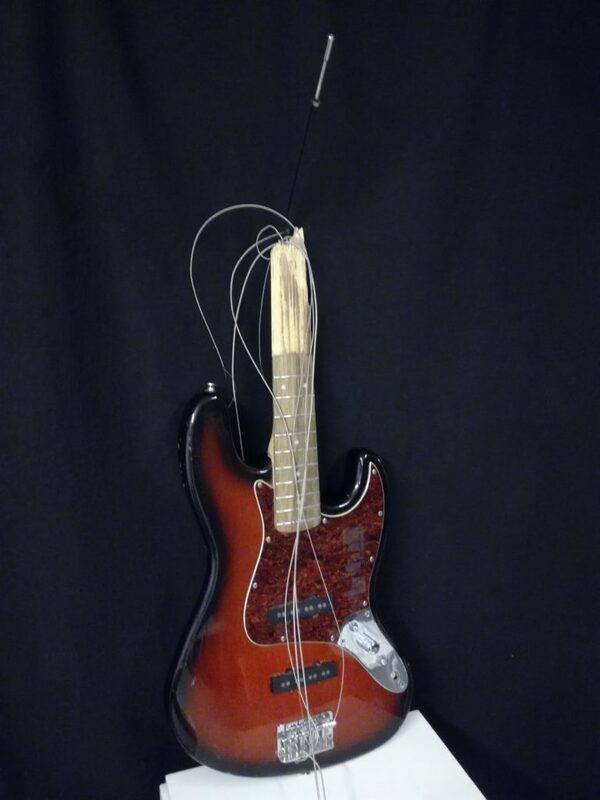 Police captured the man and took the weapon, the bass guitar, from him. They found drugs from his pocket. The man was arrested and the remains of the bass was returned to library. The library donated the instrument to me. In the concert, I am using this bass guitar as an instrument. Six days of adventurous music and sound art for adventurous minds! 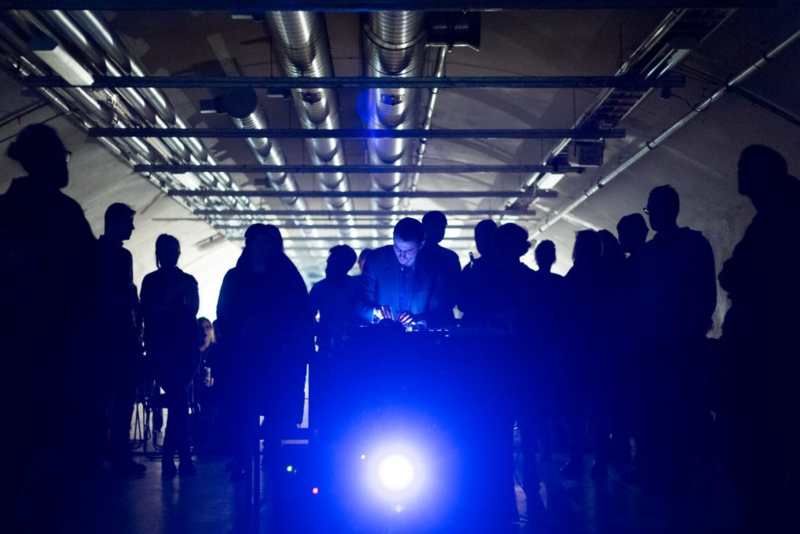 POLYPHONIC is an intensive sound art and electronic music event at Vuotalo Cultural Centre in Helsinki. Invited musicians and performing artists are from Nordic countries and Finland, offering for the audience wide spectrum of new sonic expression from the fields of experimental electronic music, sound art and ambient. The program includes electronic music, do-it-yourself musical instruments, sound performances, and improvised music. A sound installation is open in the gallery. 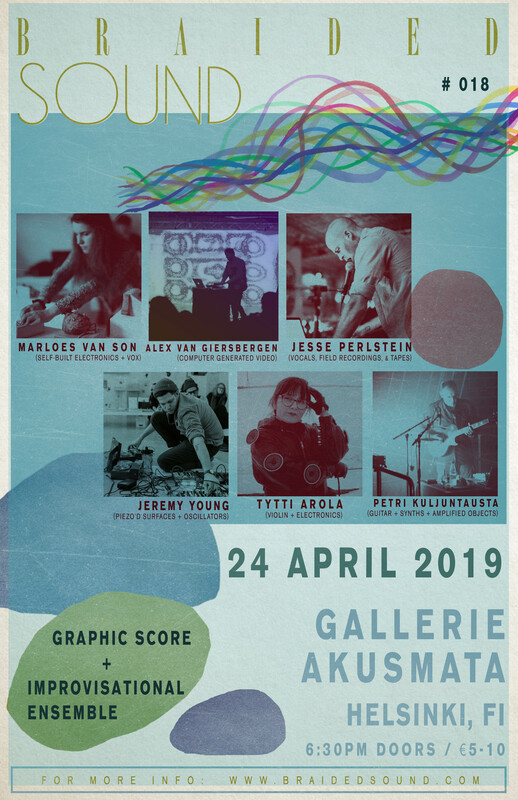 The producer of the event is Akusmata, the first sound art gallery in Finland. The program and updates will be published at akusmata.com and Akusmata’s facebook page https://www.facebook.com/Akusmata. The international artists are visiting as a part of the Puls concert program / Nordic Culture Fund. Petri Kuljuntausta: POLYPHONIC. Sound installation for 100 ticking clockworks at Vuotalo gallery. The installation is open during the opening hours of Vuotalo. 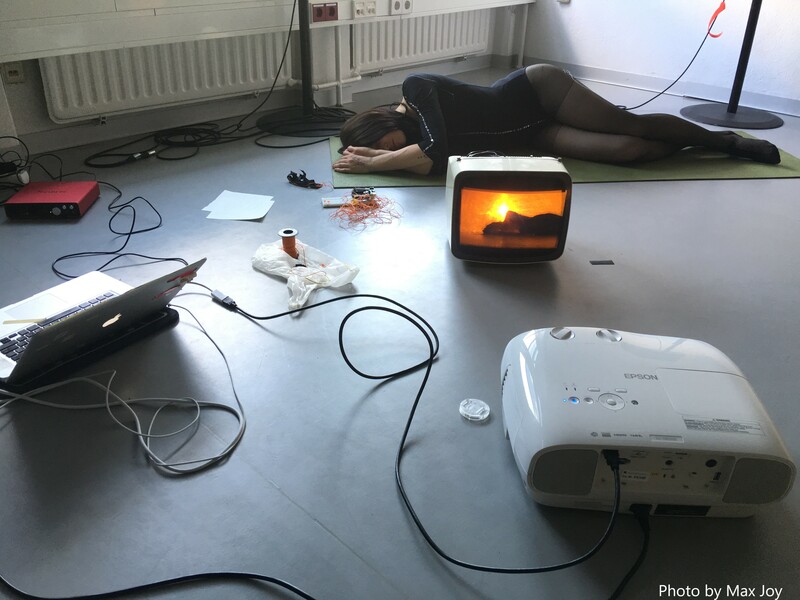 Electric muscle stimulators, sleep machines, tuning forks, bells and tone generators are some of the ingredients in this installation-performance, where obsolete sound apparatus come to live again in new musical narratives. The piece examines the therapeutic, hypnotic and telepatic potential of these lost apparatuses. 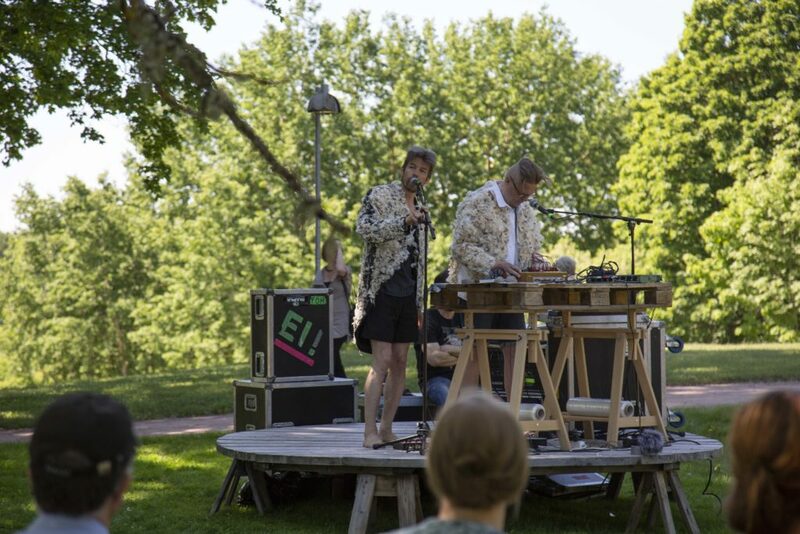 The performance is supported by Puls / Nordisk Kulturfond. 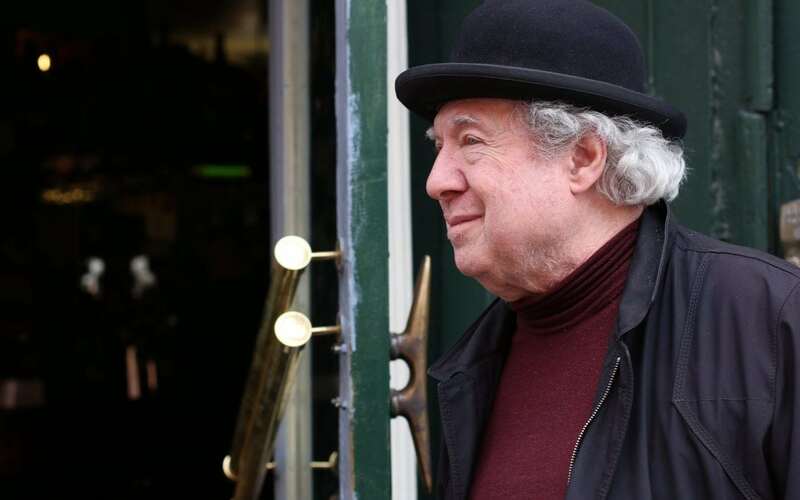 Flutist, composer and sound artist educated in Bergen, London and Amsterdam. 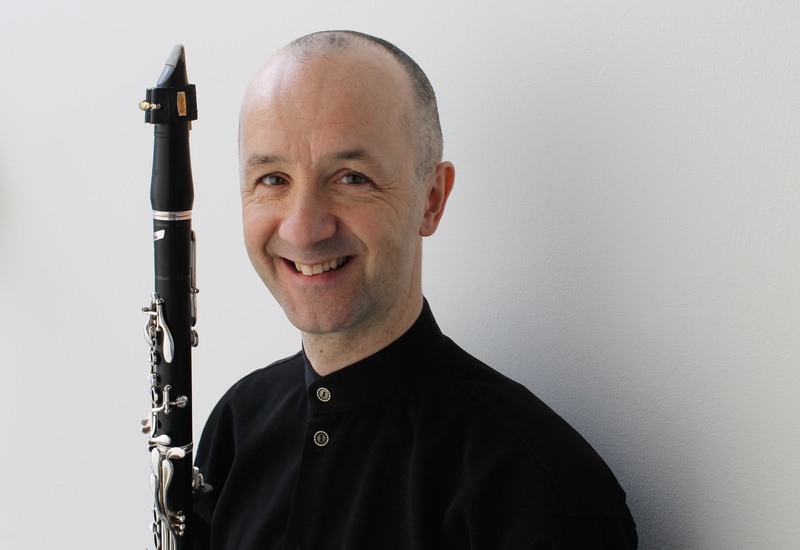 Works as a soloist, chamber and ensemble musician in Scandinavia, Europe, Asia and the US, covering musical grounds from classical contemporary to noise, electro-acoustic and free improvised music. 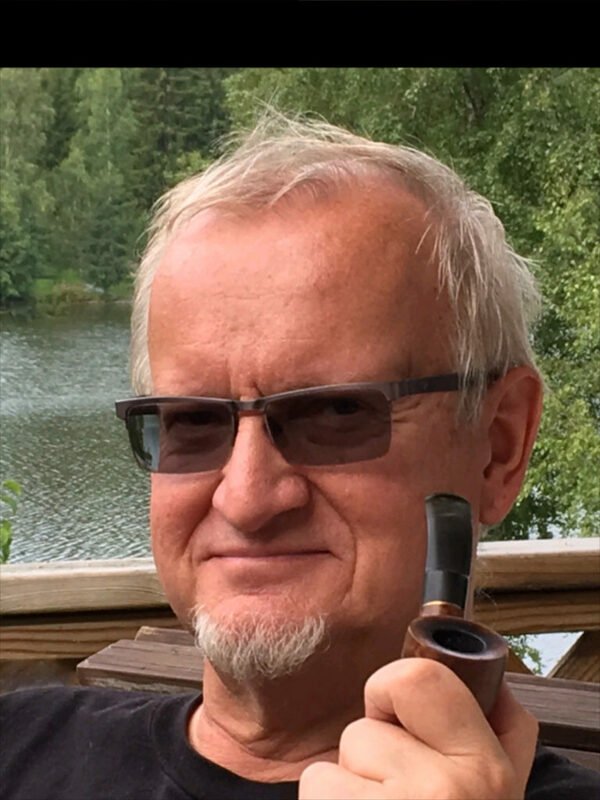 Habbestad has collaborated with a a range of composers and improvisors in both the acoustic and electroacoustic domain and is responsible for the Norwegian premieres of works by Sciarrino, Ferneyhough, Nono and others. Recent activity includes a commision for the opening of the Borealisfestival with Pascal Baltazar and Benjamin Maumus (FR), the solo part in Luigi Nono`s epic work “IO – frammento dal prometeo” at the Bergen Festival and a collaboration with Berlin based percussionist Burkhardt Beins. Habbestad is Artistic Director of +3DB records and a former curator at Lydgalleriet, a Bergen based gallery for sound art. 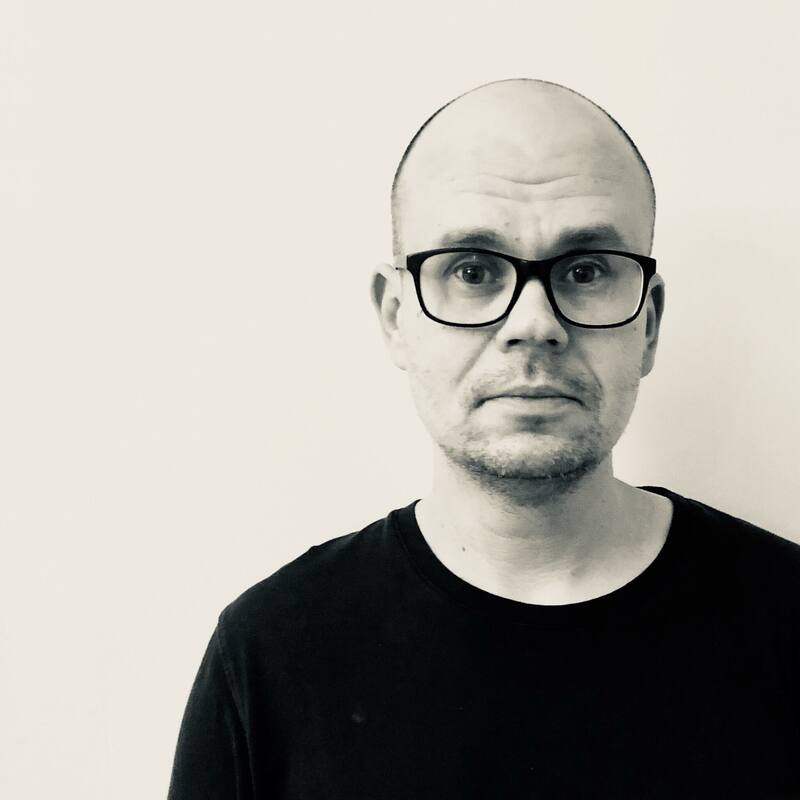 He currently works as a PhD fellow in Performance Practice at the Norwegian Academy of Music where he researches the relationship between experimentation and sonic developments in contemporary music. 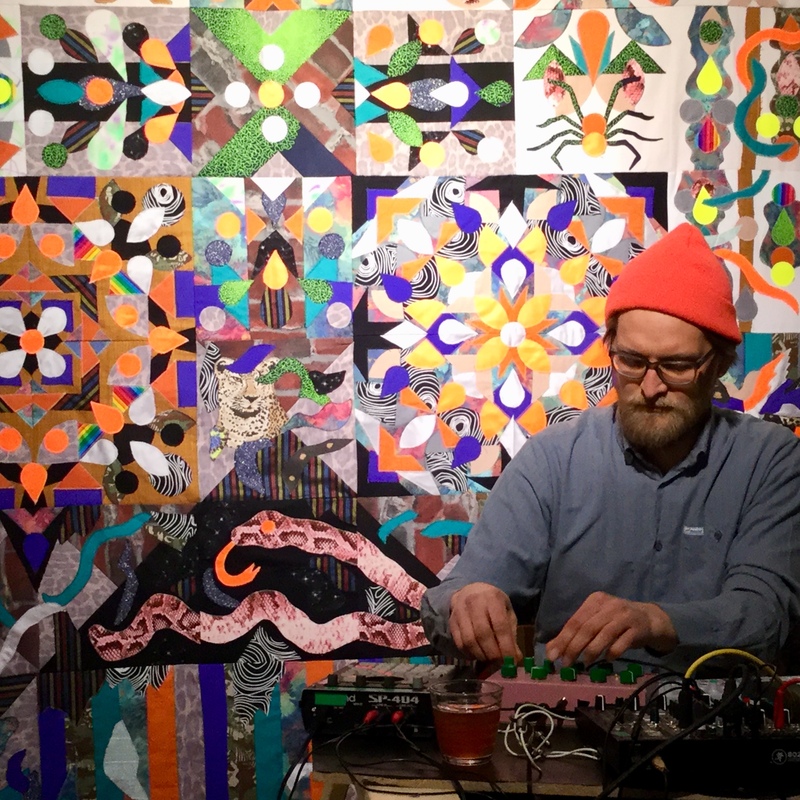 As a composer, musician and sound artist, Mats Erlandsson is part of the vibrantly reemerging field of drone music in Stockholm, Sweden, and is known for the extensive use of sustained sound. 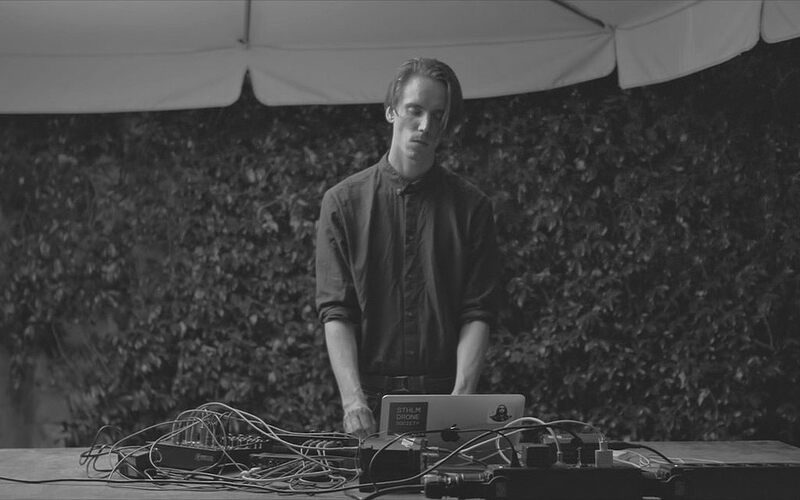 In 2016 he released his first two releases at the prominent label for experimental music Posh Isolation. Selective Miracles is characterized by the spacious, almost sci-fi, over-driven synth notes that submerge you in sound with rattling basses and slowly emerging melodies. If the emotion on his first release is inspiration of awe, then his second release Valentina Tereshkova, named after the first woman cosmonaut, gives the impression of conflict. The sound is even more distorted and heavily textured drones are almost oppressive. Both releases are vast sonic journeys, where noise, melodies and drones are expertly compressed to struggle for presence. 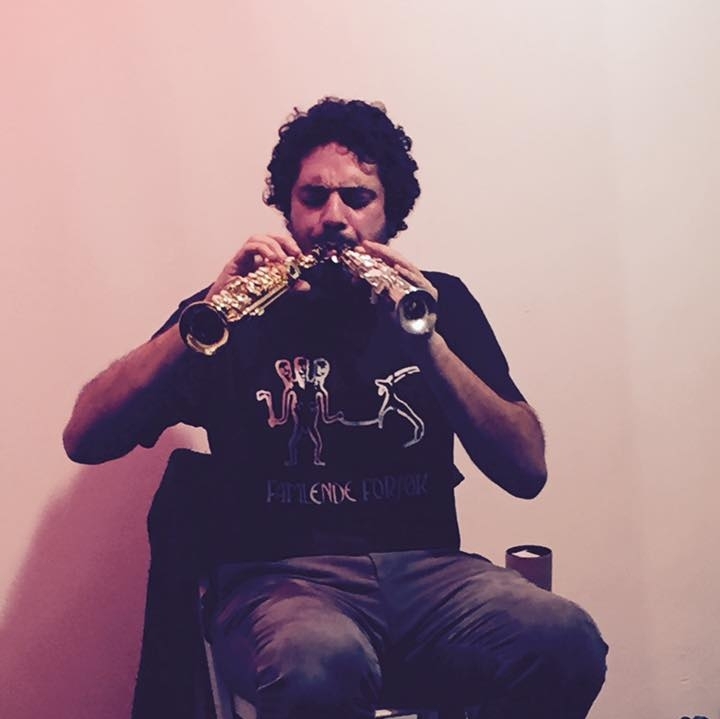 In 2017 he released a collaborative album Negative Chambers at Miasmah with Yair Elazar Glotman. They set out to record with several different acoustic instruments an album, “an imaginary, dislocated “folk” music for the current dark age“. Erlandsson has undergone studies in composition in Stockholm, where he received a Master’s degree in Composition of Electronic Music. In addition to his own artistic practice, Erlandsson holds a position as studio assistant at the world-renowned Elektronmusikstudion (EMS) in Stockholm. Erlandsson presents his work both as a solo artist and in collaborations, most notably together with Yair Elazar Glotman. 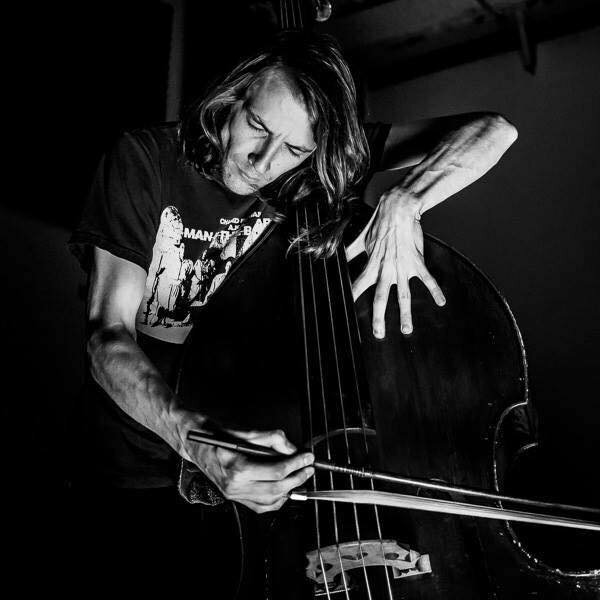 He has performed his work extensively, most recently in Berlin (The Long Now), Seoul (ACC), Norberg (Norbergfestival), Stockholm (Fylkingen, Sound of Stockholm, Audiorama), Malmö (Intonal festival), Copenhagen (Mayhem) and in Avellino (Flussi Festival). 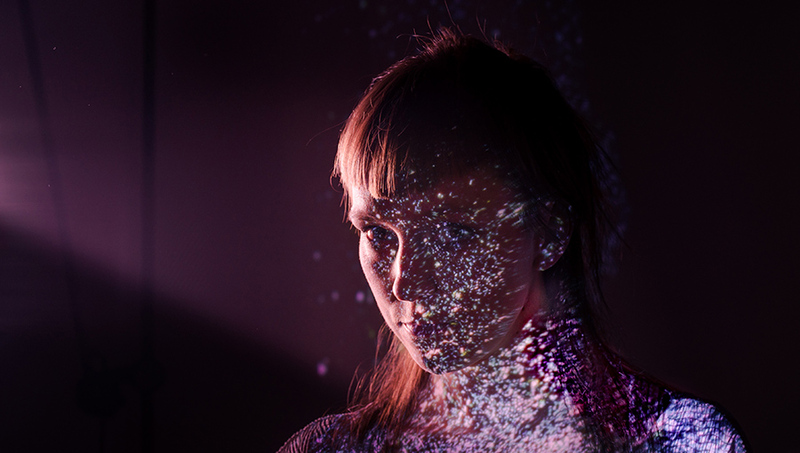 Esa Ruoho, better known as Lackluster, is a Finnish electronic music producer and performer from Kontula, Helsinki. He is also known as Esa Ruoho, XLLV, Can’O’Lard and Kökö and the Köks. Since 2000, Ruoho has played numerous musical performances as Lackluster, Esa Ruoho and HLER in Finland, Sweden, Norway, Netherlands, Belgium, Italy, Germany, France, Spain, Ireland, England, Austria, Poland, Russia, Latvia, Estonia, Bulgaria, Hungary, Lithuania and Ukraine. Current totally: 154 live performances (as of 1 August 2018). 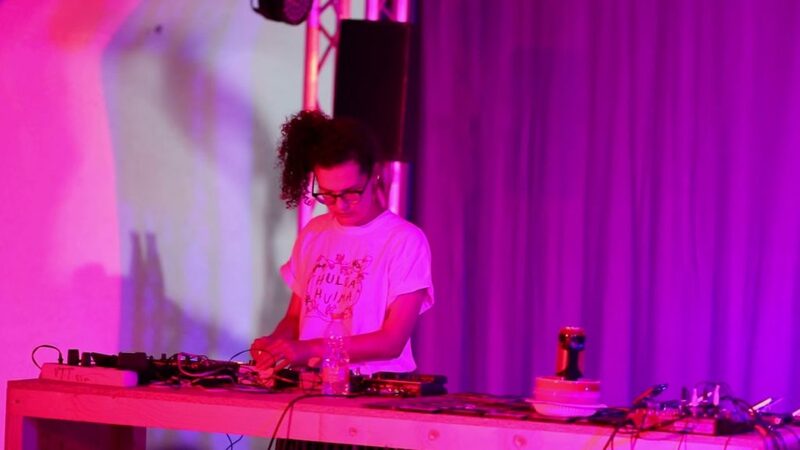 Ruoho has also played as warm-up support for numerous famous electronic musicians, such as Biosphere, Petri Kuljuntausta, The Orb, Mixmaster Morris, Brothomstates, Aleksi Perälä/Astrobotnia/Ovuca, Cylob, Wevie Stonder, Machinedrum, Jimmy Edgar, Move D, Jimi Tenor and Bad Loop. Esa Ruoho started composing electronic music in the mid-1990s and, after 2000 has been releasing recorded music (remixes, compilation-tracks, original work) on dozens of labels, full-length CDs on such labels as deFocus records (Great Britain), Merck Records (Miami, Florida, US), U-cover (Belgium), Psychonavigation Records (Dublin, Ireland), New-Speak Records (Stockholm, Sweden). 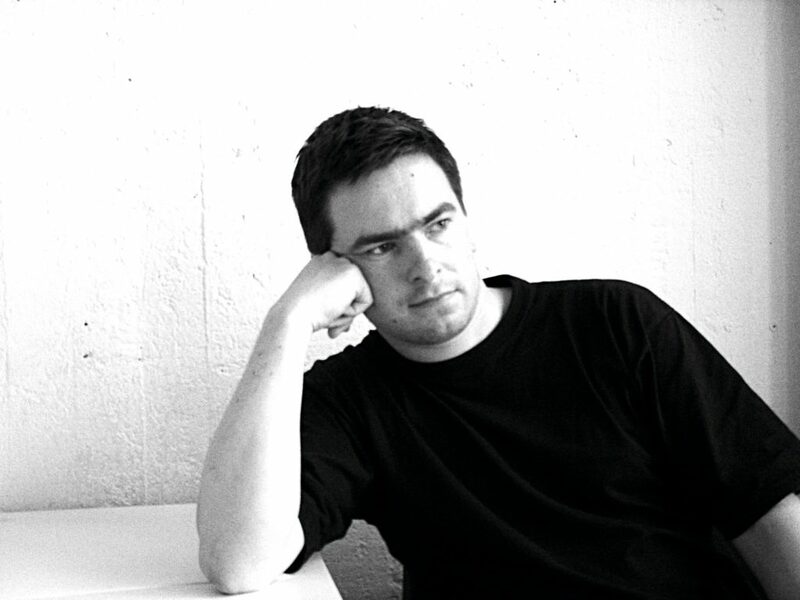 He has since 2007 worked with SLSK Records from San Francisco and Nice And Nasty from Ireland, the San Francisco-based netlabel TwoCircles Records and the Argentinian netlabel Igloo-Rec, and the American label JellyFish Frequency Recordings. SARANA is the musical dimension of Janne Särkelä, an ambient and experimental artist and sound designer from Finland. 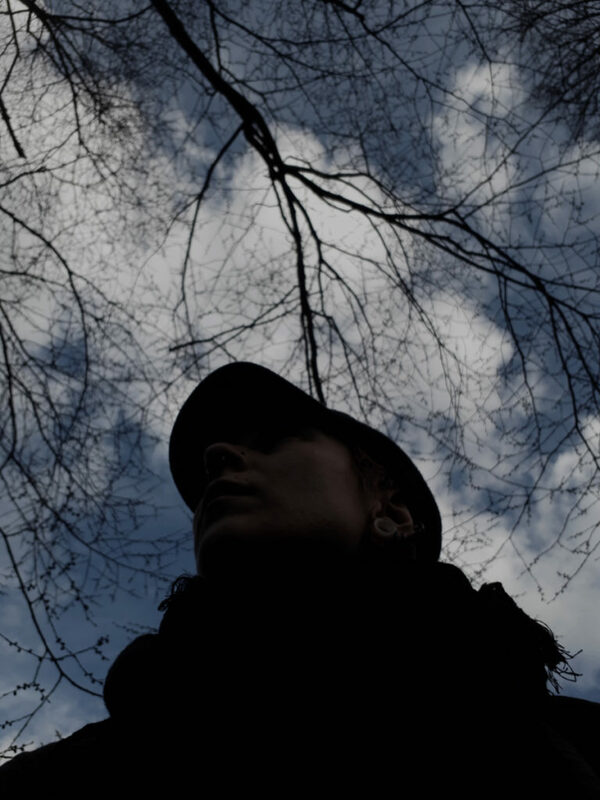 Janne has performed intuitive and meditative ambient sets at Finnish and foreign underground techno and psychedelic trance parties, art galleries and urban culture events. Janne’s live ambient sets have been heard at Boom 2012 in Portugal – where he performed a three hour sunrise ambient set; at the Ambient Music Conference of 2014; in 2015 he played a two hour live late morning set at Yaga Gathering in Lithuania. In 2016 and 2017 Janne performed at festivals in Indonesia and in the USA, to celebrate total solar eclipses. SARANA has released two albums, produced by Vir Unis under his Atmoworks (USA) label. 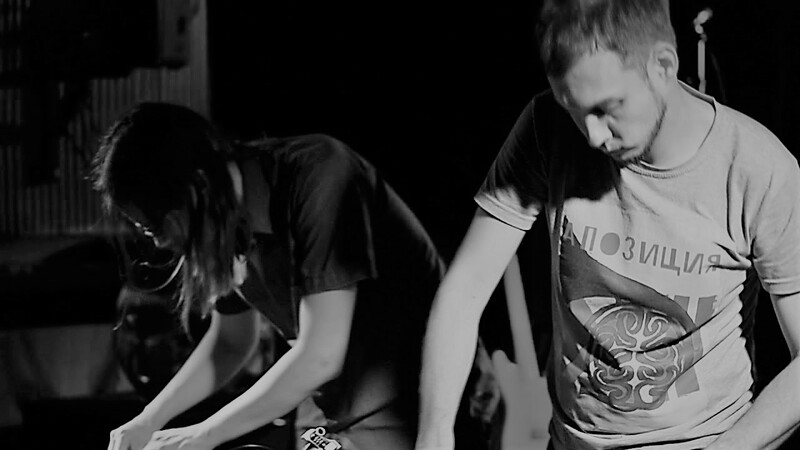 Third album will be released by Erototox Decodings (USA), EP from Voyager 1 (FR) is coming up. Many tracks and remixes have been included on releases by various artists and labels. 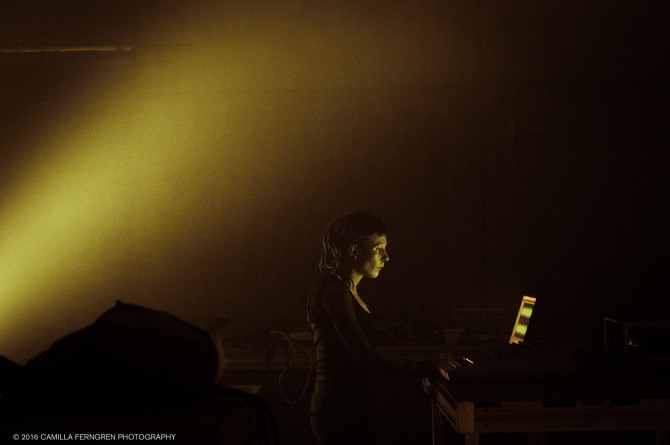 The ambient live sets are held together by self-built and off-the-self computer based tools, and realized by a mobile and portable collection of synthesizers, effects and controllers. The set length has generally been 1 to 4 hours. 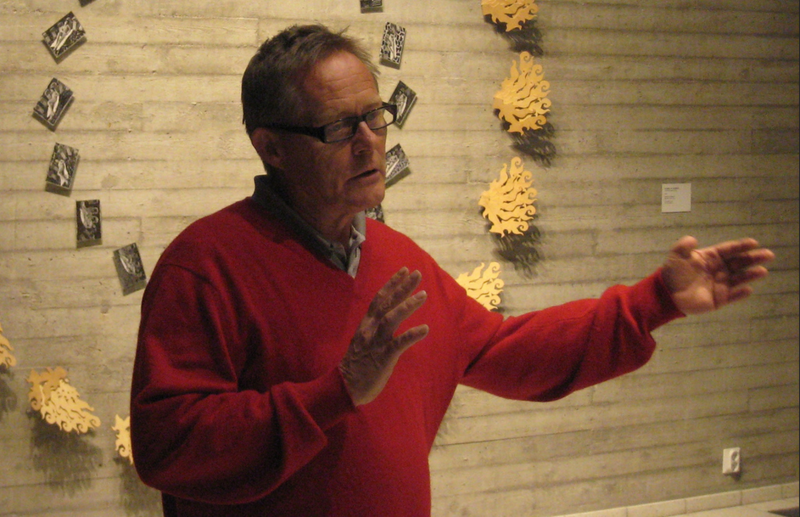 Janne’s sound installation work has been presented at many art events and festivals. Jaakko Penttinen is an electronic musician from Turku. 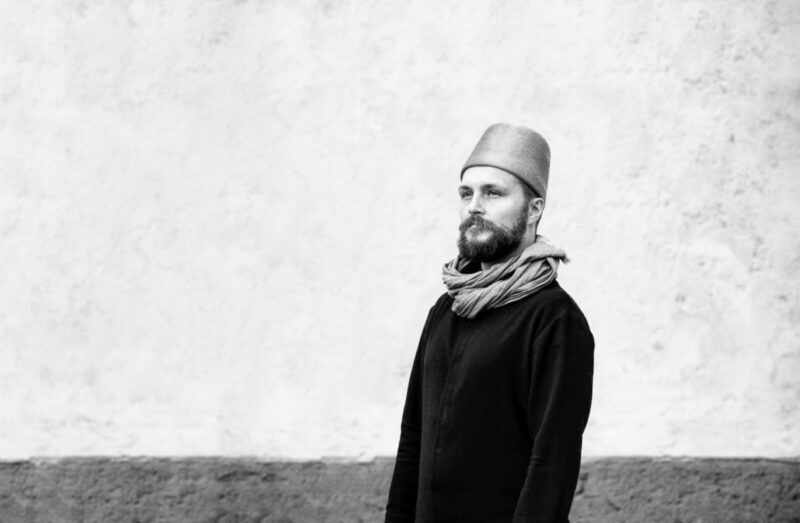 In addition to his solo performances, Penttinen has a background in various bands and he is well known for his ambient/space music project Galactic Travellers. 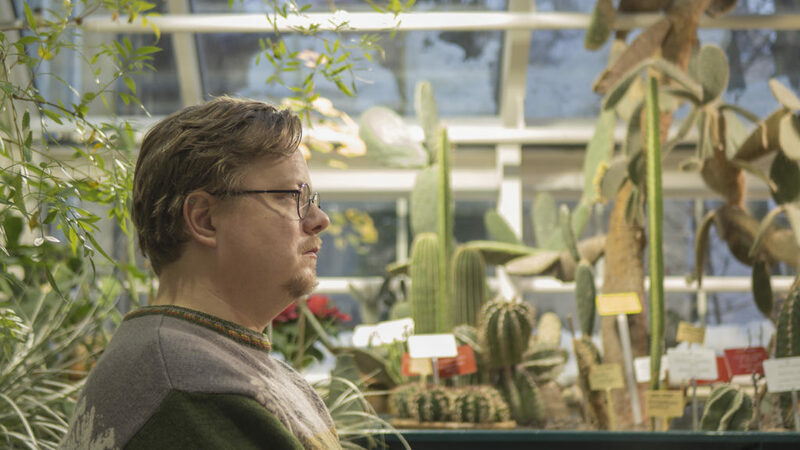 Penttinen works in the Turku Synthesizer Society, curates the Experimental Music Club in Turku Bookstore and makes music in the E-Musikgruppe Lux Ohr, Function Wellenform and Kühl Shot. At Akusmata’s Polyphonic event Jaakko Penttinen presents his work entitled ‘Abstraction – Geometry – Music’. 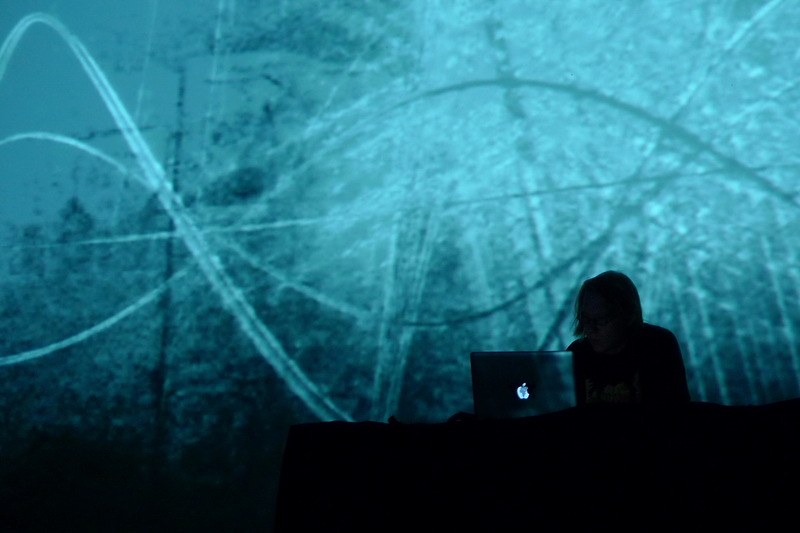 Penttinen’s performance draws on the techniques used by US minimalists such as La Monte Young, Terry Riley, Steve Reich and Philip Glass to create a restful and static sound where is also room for randomness. 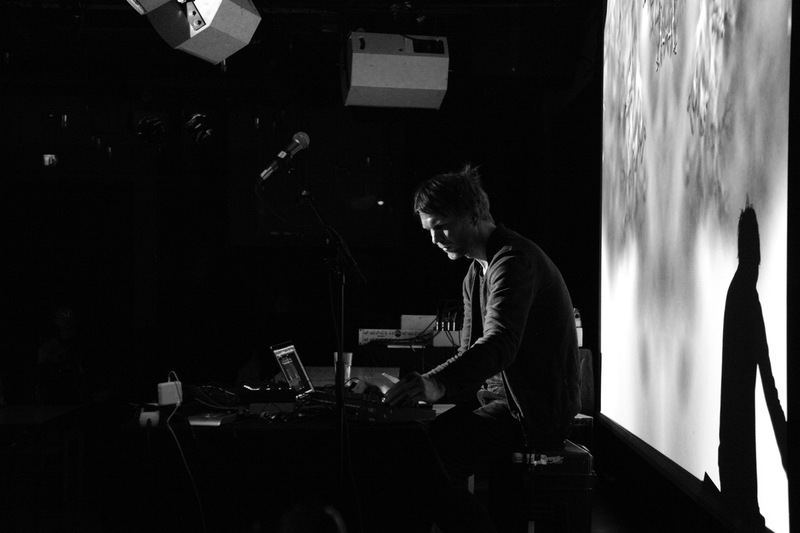 Jesse Juup is a finnish electronic musician, producer and improvising performer. 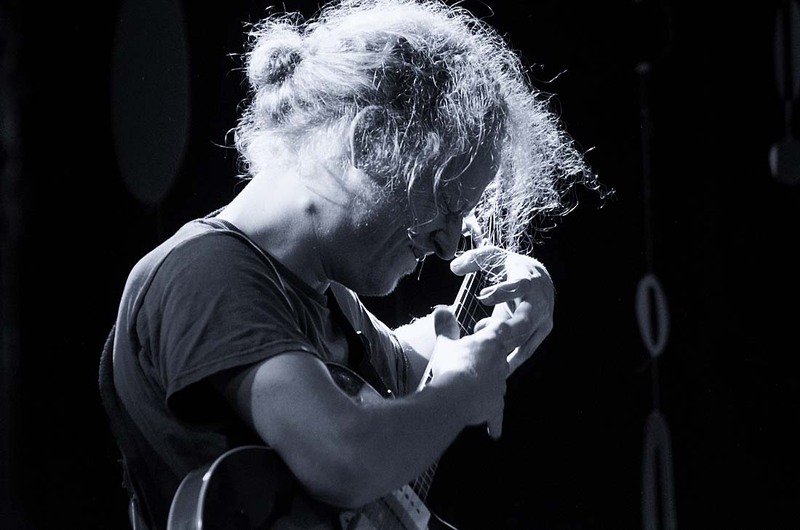 Usually he is seen performing with some of his bands – Ritarikunta, Konekonekone, Kühl Shot and Tervakello, but this time he is performing solo. His style is usually hypnotic and slowly evolving mutating soundscapes. The instrument palette consists of a modular synthesizer and guitar pedals, each time being unique and tuned to the performance environment. Jesse Juup is also a founding member of Turun syntetisaattoriseura. 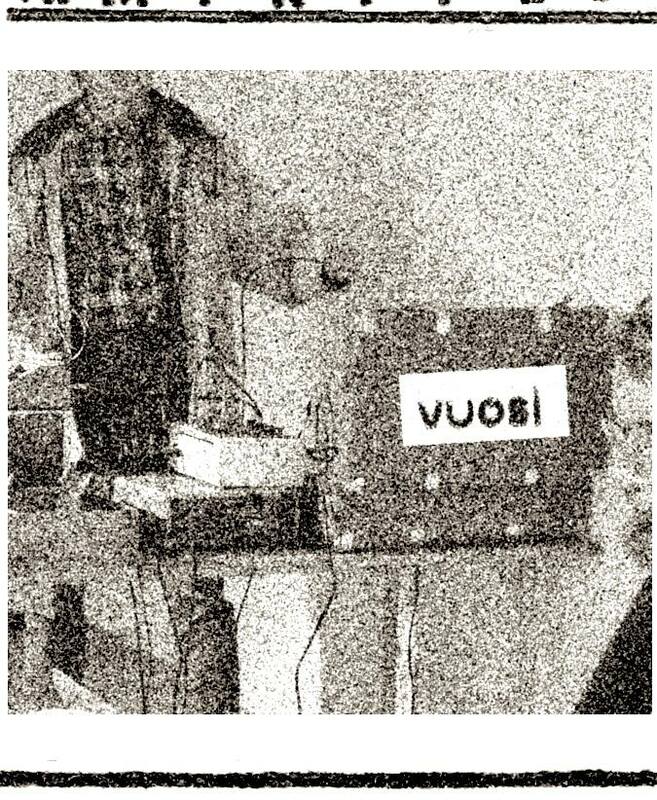 VUOSI is a collective focused on experimental music and sound art, founded in 2014. Vuosi has performed in different parts of Finland, has released recordings and built sound installations. At Polyphonic event in Vuotalo, the members of the collective Ilpo Numminen and J. Koho, perform as a duo. POLYPHONIC sound installation explores the various dimensions, obscures and strange features of the time. 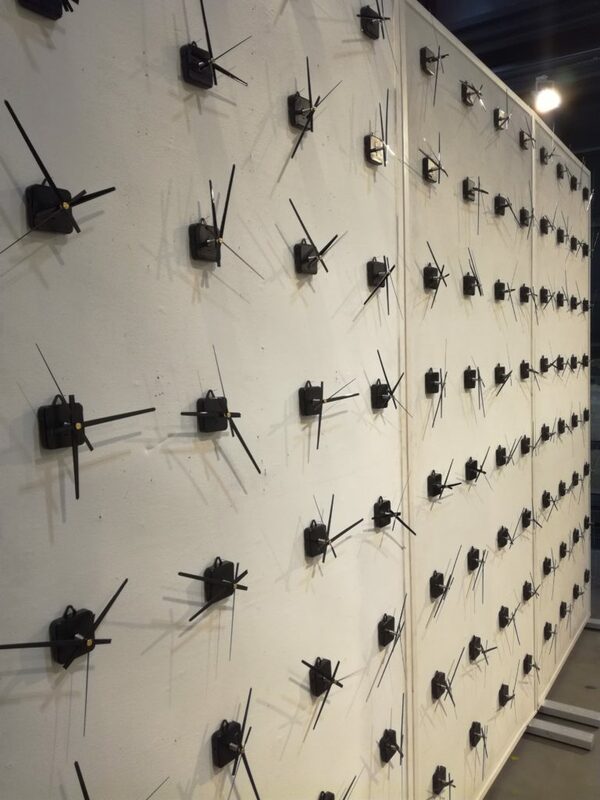 A hundred clocks give the space a subtle sound field. 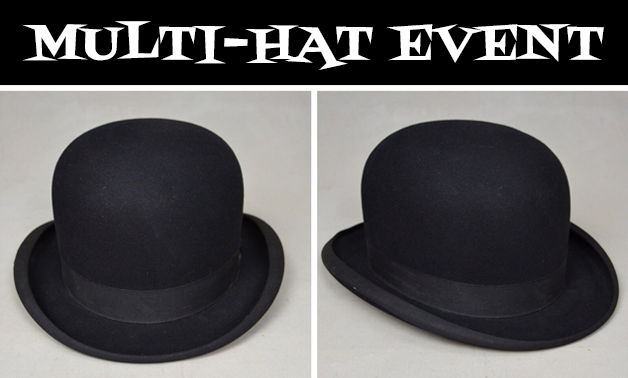 Since every clockwork is a mechanical and incomplete device, one is slightly slower and one faster, their time is not exactly the same. As a result, the relationship between the ticking clocks is constantly changing. Sometimes the tickings comes together, making an accent that creates a rhythm. In the next moment, the rhythm disappears and the ear will figure out the new rhythm in the other area. Over time, ticking of clocks produces endless variations. 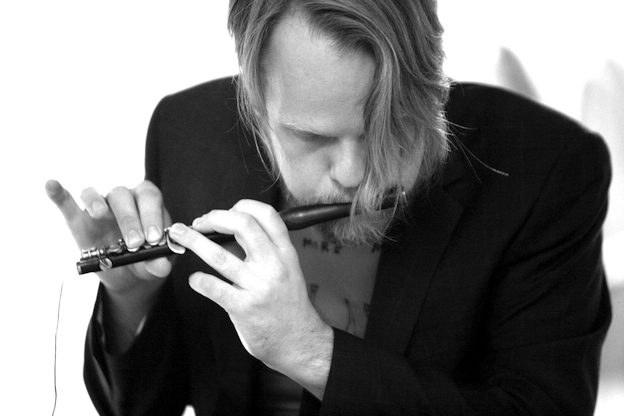 PETRI KULJUNTAUSTA is a composer, improviser, musician, and sonic artist. He has performed music for an underwater audience, improvised with the birds, and made music out of whale calls and the sounds of the northern lights. As an artist he often works with environmental sounds and live-electronics, and create sound installations for galleries/museums. Record release concert of Samuli Tanner’s new 8″ vinyl “Konserttitaltiointi 1”, Artsy Records ART-3. Supported by Artsy Records’ mogul Arttu Partinen. Poster by Roope Eronen. 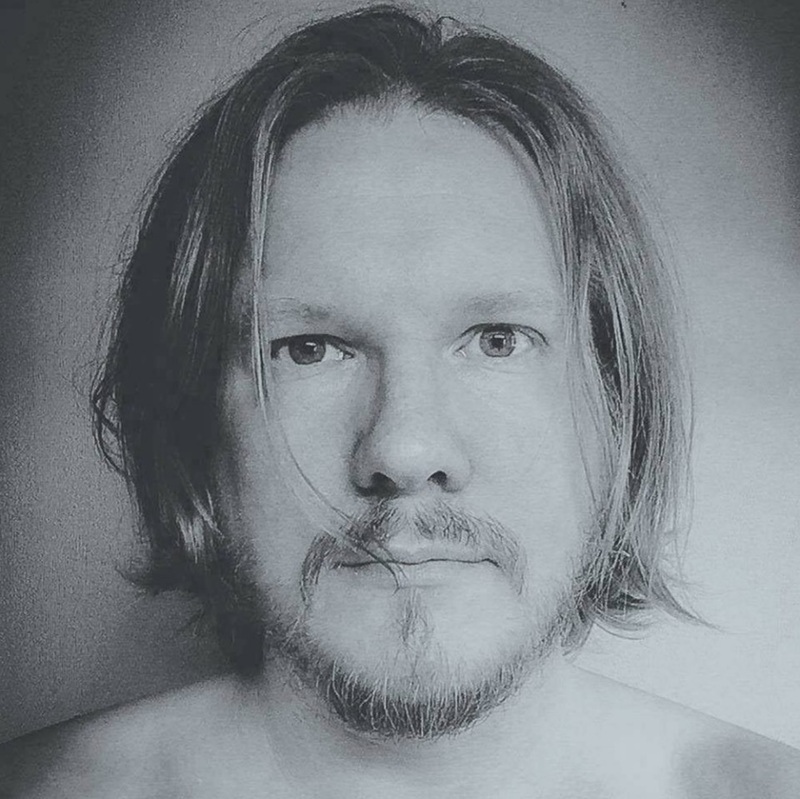 ARTTU PARTINEN has been making music over 15 years. Some of his projects (most visible being the long-lived band Avarus) were central in the international breakthrough of the “New Weird Finland” genre around 2005-2006. As a solo artist, he has been known as Amon Düde, but in recent times also under his own name. In his performances, he combines noise dynamics with slapstick moves. He often seems to struggle with his gear, surprising himself as well as the audience. As sound sources he uses found tapes, his own recordings, world music cassettes, nature sounds, human voice, processed live percussion etc.